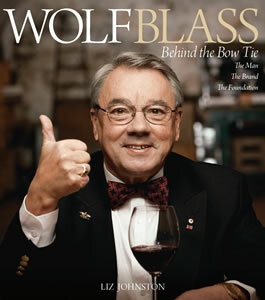 Wolf Blass is one of the best known names in the Australian wine industry, the brand sells huge amounts of wine here and overseas. Wolf is also one of the best self publicists so you might think that he needs no help to make you aware of his importance. However when you read this book you will see that it is hard to overestimate the effect that he has had on the Australian industry over the past half century. He came out as a sparkling wine specialist to help the Kaiser Stuhl Co-op in the Barossa valley, but he quickly made his mark by making red wines which were drinkable without extended aging, a comparatively novel idea at the time. His ambitions and personality were too big to coralled as an employee so it was inevitable that he would establish his own wine empire. This he did in rather spectacular fashion such that he dominated the quality end of red wine making by the 1970s. Wolf had his critics who were quick to point out that he talked about himself too much, not something that Australians are fond of. The point is that his winemaking achievements justified the talk, well most of it. 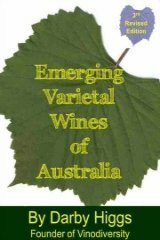 Financial and show successes followed but it was Wolf's influence on other winemakers and marketers that contributed greatly to the rise of Australia's industry from a domestic sideline, almost a curiosity, to a world force in wine. Liz Johnston has written a lively biography dealing with Wolf's personal story, his winemaking education, his immigration to Australia and his steady rise to the top. It's an authorised biography but it pulls no punches. The book is liberally illustrated with photos, Wolf with wine, Wolf getting another award, Wolf with celebrities, Wolf with his family, Wolf with his racehorses. Wolf was never camera shy and Liz has been able to illustrate the book well. Liz Johnston is a freelance writer. Her guides to eating and staying in Queensland will be published in Hardie Grants Holiday in Queensland in April 2010.